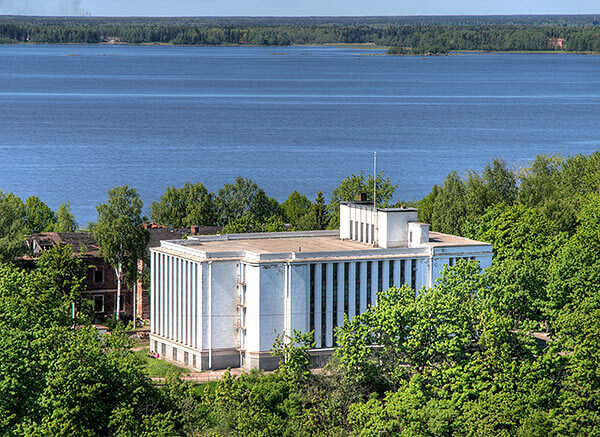 There is one more wonderful Uno Ulberg's building at the Torvaniemi cape. It was built on 1933 on the basement of unfinished orthodox Cathedral. That church was founded in 1910 in honour 200 anno Vyborg siege by Russians. The walls were erected but in 1917 the construction was stopped. In 1930-th the walls were dismounted and new archive building instead of church was erected. The archive building is unique. It has 10 km document's shelves with pinewoods with special incombustible treatment, fireproof doors with air locks, noiseless rubber parquetry, lead roof... There is no fortifications, but building is really wonderful.